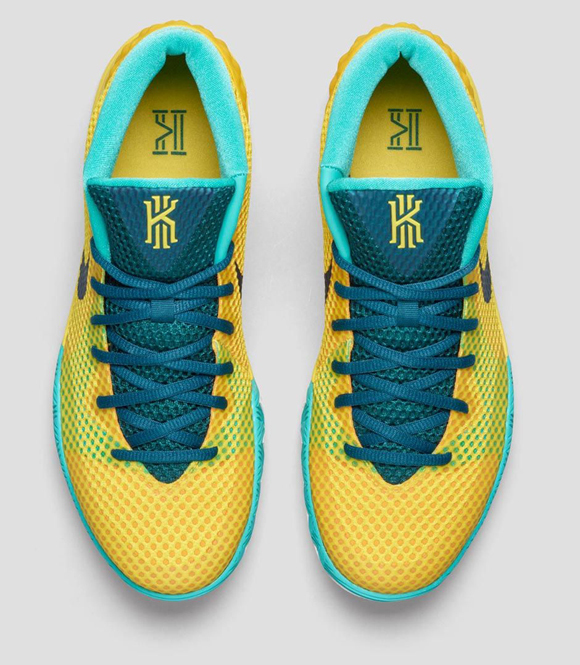 Yellow and Teal combine to form the Nike Kyrie 1 ‘Letterman’ which is available now at the retailers listed lower in this article. 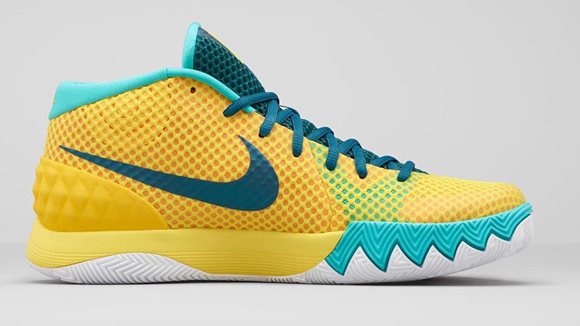 Tech-wise, the Kyrie 1 features a Zoom Air in the forefoot as well as a Hyperfuse upper. 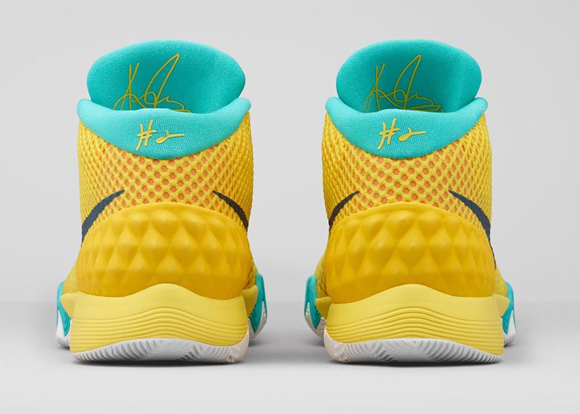 The traction is the most glaring part of this performance basketball sneaker, with an aggressive herringbone that trails up to midsole. 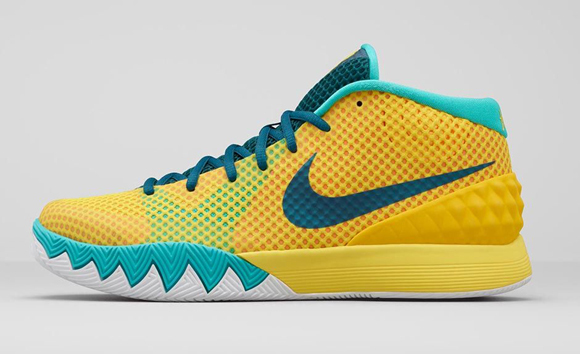 You can pick up the Nike Kyrie 1 ‘Letterman’ now for $110 at the links below, starting at 10am EST on Saturday June 12.